Ecotourism is a growing industry in Australia. Ecotourism seeks to help make connections between people and the natural world. 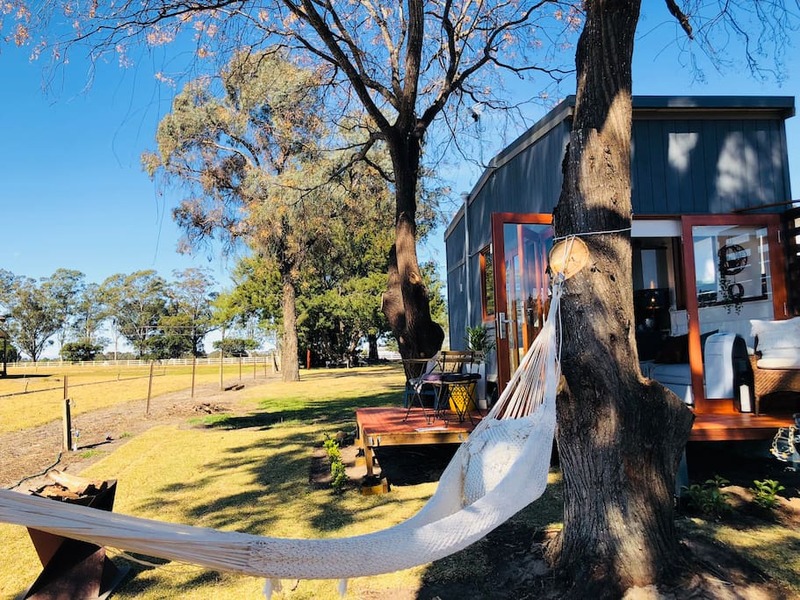 The tiny house movement compliments the eco-tourism industry and allows people to enjoy being in the outback while still having the comforts of home. Australia has a tremendous amount of biodiversity. Unique fascinating animals, beautiful beaches and an outdoor sports culture that make it ripe for eco-tourism. Everything from scuba diving on the Great Barrier Reef, exploring underground caverns at Jenolan Caves to hiking in the Daintree Rainforest. Australia has a growing eco-tourism industry that brings in people from all over the world. Eco-tourism Australia has over 500 that offer environmentally friendly holidays. “It’s our mission to make Australia recognised as the best ecotourism destination in the world,” says Ecotourism Australia CEO Rod Hillman. Ecotourism is not just for those who are serious environmentalists. By design, it is open and friendly and includes everything from a family hike to extreme rock climbing. Eco Tourism Australia puts out a Green Travel Guide that allows you to search for your perfect destination. Did you know that conventional tourism can harm the planet? At any given time one billion people are taking a vacation. 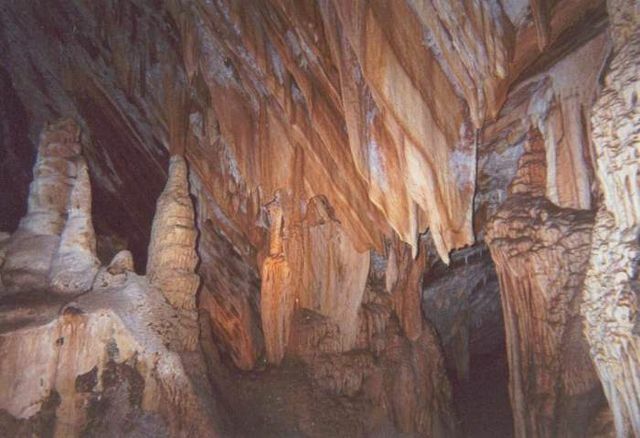 If areas are not protected tourism can put stress on the natural environment. Indigenous plants and may be trampled and animal homes destroyed so that people may get closer on paved roads. Historical sites are raided and artifacts stolen. In addition, rash and waste are left on the ground where it falls. A recent article in Nature stated that 8% of greenhouse gasses are created while traveling. The biggest contributors are shopping, food, and transportation. All of that carbon really adds up. Tourism has a detrimental impact on local water supplies. Tourists may not conserve water and use products that add chemicals to the local waterways. 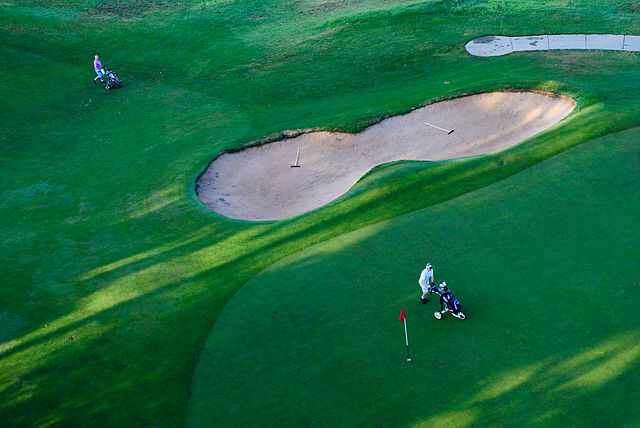 Golf, a popular holiday pastime, uses enormous quantities of water and chemicals to keep the fairways green. How Is Eco Tourism Different? Ecotourism is all about support and respect for our natural resources. It supports the natural environment, communities and the local economy. When you experience an environmentally friendly trip you learn about the cultural history of the area, the impact we have on the planet and how we can help conservation efforts. Traveling green may mean that you hike or bike to explore your destination. You eat local foods that are grown sustainably and you learn about the local culture. Making a conscious decision to reduce your impact is very rewarding. You can immerse yourself in an area. Eco-tourism is about reconnecting with family, taking time for yourself and letting yourself relax. Tiny houses are the perfect ecotourism escape. They are eco-friendly just by their very nature. A tiny house is compact, so it has a lower carbon footprint. Many tiny homes are built uses eco-friendly materials such as recycled wood. In addition, tiny houses are easy to run via alternative energy. Solar and wind power provide electricity. A composting toilet conserves water while a rainwater collection system provides water for a hot shower. 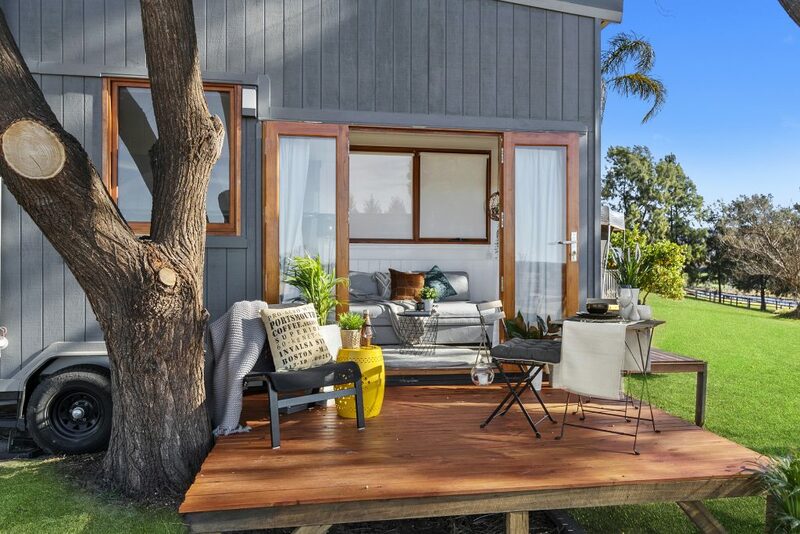 Environmentally friendly holidays using tiny houses is a growing trend in Australia. Big Tiny was founded on the premise of being able to retreat in a rural area and let nature rejuvenate you. “The dream of Big Tiny began two years ago during a farm stay along Australia’s Great Ocean Road. When I opened my door I saw greenery and wildlife up close, [and I realised that] this was the perfect way for me to recharge and get away from the hectic, digitalised lifestyle in Singapore,” he said. Sharks are perhaps the most misunderstood animals on the planet. 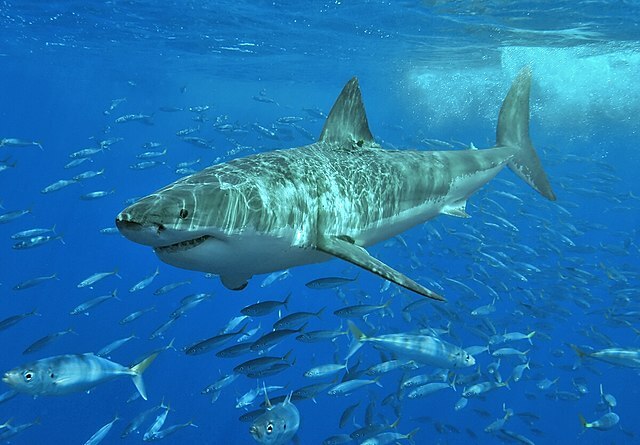 Shark expert Rodney Fox runs certified eco-trips to get up close and personal with the Great White Shark. Individuals view sharks from the safety of a shark cage. In addition, divers can participate with his research team. Travel back in time to visit Frasier Island, an ecologists dream place. Frasier Island is home to a native species of dingos, ancient rain forests and unique whale watching opportunities. Explore Victoria’s High Country and go hiking in the Gippsland region. Gippsland High Country Tours takes you on personalized tours that allow you to unwind and enjoy the scenery. The high country is a bird watchers paradise. How Do I Find A Tiny House Eco-Holiday? The tiny house movement has now become part of the “glamping” trend of glamorous camping. A tiny house fits perfectly in a remote part of the country. It is like your own private hideaway. Furthermore, check out Airbnb for fabulous tiny home rentals to recharge your system. Staying in a tiny house helps you get in touch with the natural world. Start your day sitting on a deck enjoying the sunrise. Take a morning hike through the rainforest. Come “home” to enjoy reading a novel in front of windows overlooking the river. At night roast marshmallows under the stars. Do you need some inspiration? Look no further. 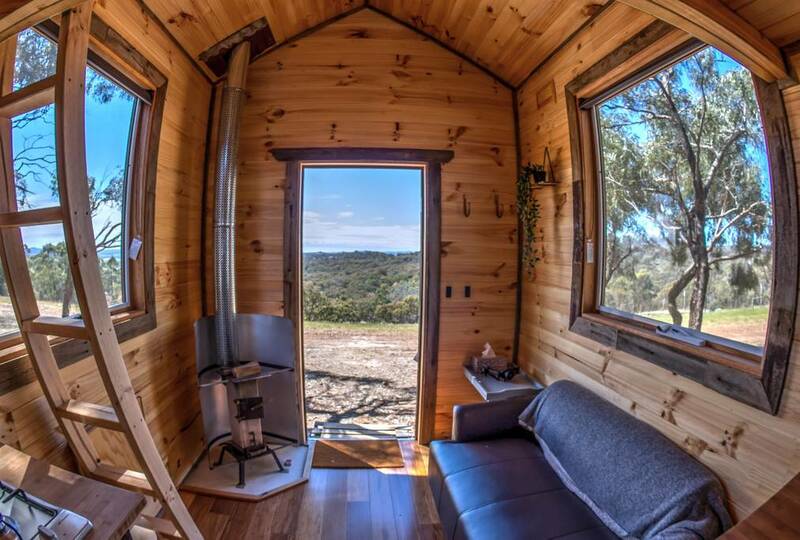 That perfect tiny house vacation is waiting for you.